This is the final post in a series of blogs from our Guest Editor Kate Heath, an ex-humanitarian worker now based in Paris – exploring how to have constructive conversations about climate change. In this, my final reflections on the value, science and art of talking climate change and energy issues, I lift this to you: do this together. Do this in community. Traverse the valleys, the slopes, the bogs and the boulderfields, the heights of this quest in company – and then share the stories that roll from it. Those of you involved in Transition are in a particularly unique and rich position from which to start conversations, given your involvement already in an active community of belonging. Human connections rally people like no other factor. Tales of action, from a trusted space warm with relationships, where the whole emotional shebang can be explored – anxieties and doubts alongside hopes and plans – is one of the best starting points for talking about climate change. We as people love to tell and hear stories of how ‘we all came together…’ in the face of adversity; we make decisions based massively on whether enacting them will increase our sense of belonging; and regarding climate change issues specifically, people really like it when we talk in terms of ‘we’re all in this together, everyone doing their bit’. Before Christmas, I asked my Grandma what some of her favourite winter memories were. We reminisced about the depth that snowdrifts used to reach, and the story she chose to tell was my great-aunt Vera sledging off to ensure my grandfather’s produce got delivered to everyone when their village got cut off in the 50’s. Everyone doing their bit. How we all came together: The camaraderie in great buddy movies moves me like no other storyline. Perhaps because as a humanitarian you’re constantly saying goodbye to short-lived, greatly-loved teams borne of intensity. 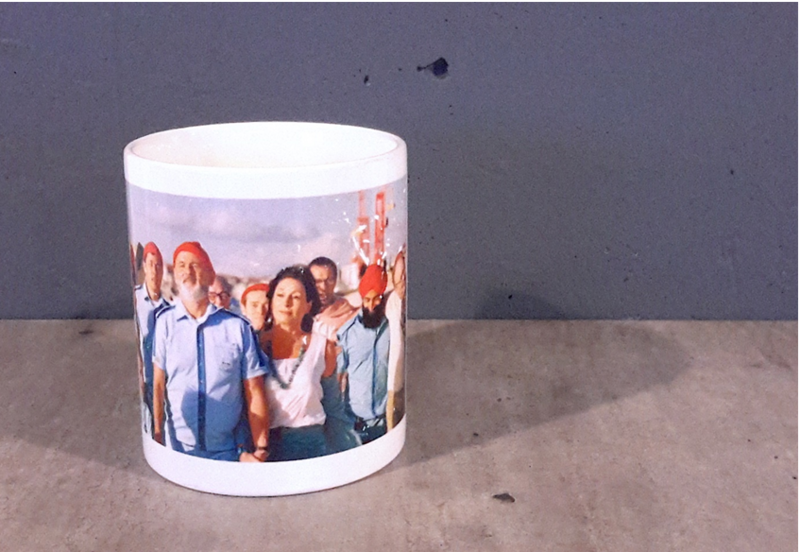 Here’s the work mug my husband made me in celebration of that deep satisfaction of belonging, with the final ‘all in this together’ montage from The Life Aquatic. This joy influences people’s decision-making hugely – which is why involvement in communities of change, such as Transition, provides fertile ground from which to talk about climate change and energy issues with others – sharing honestly the real action stories lived out together. So both, being youngish females with children, from the demographic that as a whole talks least about climate change issues…. Interestingly, both drew the same overarching conclusion as to why they themselves find it difficult to talk about these issues, particularly regarding taking positive action to reduce their impact: wanting to avoid being interpreted as disrespectful of or judging others. L: “I think it’s because what you’re doing, implicitly, as a peer to peer in an equal footing, is that you’re making a negative judgement about someone else’s choices; there is some kind of embedded judgement in it. You’re NOT saying that, but that’s what you ARE saying if you’re not careful… about EVERYTHING to do with someone’s life: their home, where they go to work, how they get to work, what they do on their leisure time, how they get there, the things they buy, the things that they have. To raise the CO2 impact as one of the factors in their choice to do whatever action, you’re somehow making a judgement that that’s the right choice – and someone else is making a wrong choice or a bad choice”. A lake of possibility vs the spectre of judgement: a motorboat suddenly looms on the scene of a new-met-friends holiday, and the choice is to be made whether to board. An individual choice rendered one of my most squirmful, as I finally admit my low-carbon reasons for not partaking, and flail around trying to ward off the unforeseen judgement bristling the others. A similar situation arises later in the summer regarding my choices not to fly or eat beef/lamb – but with long-embraced friends. With hindsight, the difference between the two was palpable, the second opening up a conversation on the tensions and dissonance involved in making such choices – reflecting the worth of embedding carbon conversation within trusted, supportive community. G: “The kind of language that is used in a lot of actions and protests is very binary: evil vs good. …yet I think that’s a very important life lesson: to always approach subjects from a very human level. [Recounts an issue at her child’s school regarding women being allowed to breastfeed there]. The first friend I spoke to said, “Right, have you got a Twitter account? Right, we can put it on there, and you need to write to the papers…”, and really stirred me up. But I thought, “Hmmm, this doesn’t feel quite right”; and I spoke to a few different people and ended up getting other advice, which I’m so glad I took – which was to come in from a very person/human perspective: tell them you feel really sad that you were trying to do the best thing for your child and you feel you weren’t supported by the school, and that you really want other people to be able to breastfeed. And start from a really human level, and you’ll be responded to in the same way. And I was, and I’m so glad – we have a really positive relationship with the school now. But we live in a world where the status quo with the media we have, the mainstream media, is all about being a bit mean to each other, and assuming that someone’s a b£*&%@d!! And I just don’t think it’s true”. 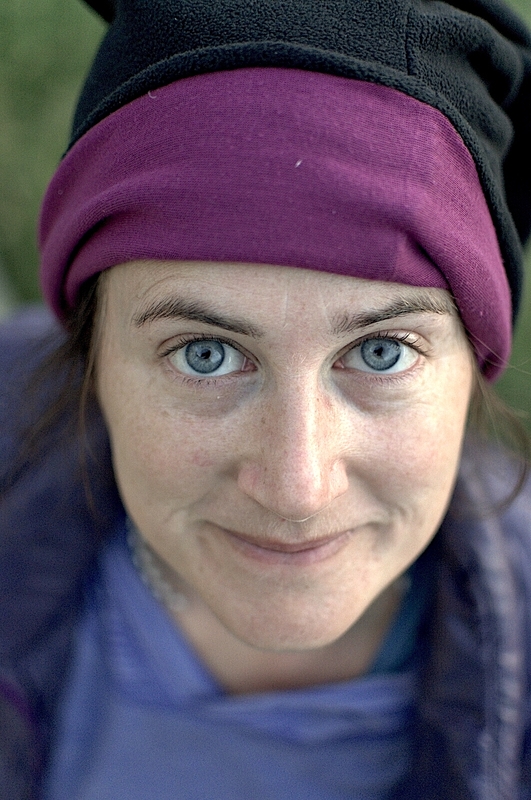 Though it’s a natural human tendency to want to cast someone/something as the enemy in any story, Marshall and others also advocate trying to avoid this entirely when talking about climate change issues – given the desperate and urgent need for collaboration across the full breadth of society at this moment. Instead, he suggests experimenting with other narrative structures – not wistfully cooking up tales with a false whitewash of unity, but ones which tell of cooperation. Such as a Quest……..
“The majority of people across the world already accept that [climate change] is a major threat and might be prepared to support the necessary changes. They currently feel isolated and powerless, but could readily be mobilised if their concerns and hopes became validated within a community of shared conviction and purpose”. Talking climate is not easy. Let’s face it – it’s surprisingly complex and can be fraught with emotion and baggage. But if you find it hard to talk about climate change, I’d encourage you to start by asking someone else you trust about how they find talking about it, and hear what they have to say. Break the climate silence in the simplest way first, and then listen. Because this Quest, I’ve realised, is as much about shutting up as it is about talking. Thanks. It was good to read some reason and sanity for a change in a post about “a movement”. Too often, at least i have found, “movements” become simply a way for the leader, or leaders of said movements to amass personal power. What this post brought to light was a refreshing possible ventilation of that situation. Great read! Thanks for shedding light on such an important topic! We also try to create awareness on climate change and try to promote action through our website, https://blip.org! If you know of any projects coming up, feel free to share with us!